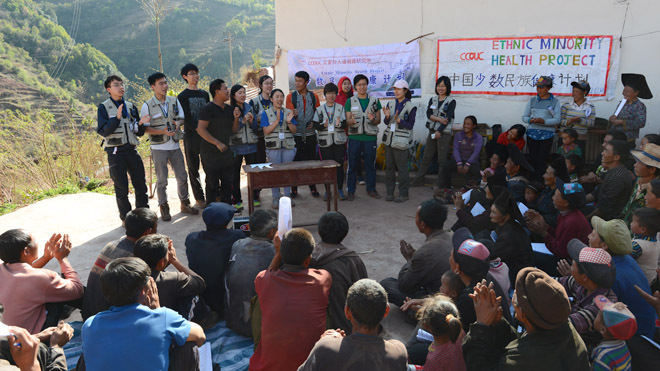 A CCOUC team of 23 members returned to Hongyan Village in Sichuan Province from 27 to 31 March 2015 to conduct an impact evaluation 12 months after a village­wide health education intervention campaign, which focused on flood preparedness, hand hygiene and water and sanitation. 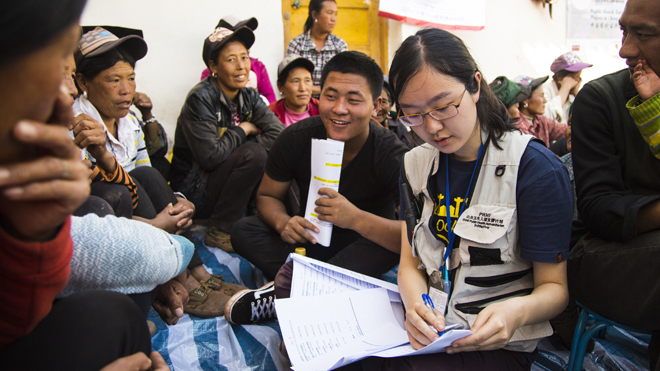 Besides evaluating the impact of previously implemented health programmes, an additional goal was to train students from health­related disciplines to deliver health education interventions in rural, remote and ethnic minority based communities. The trip provided a platform for student groups from The Chinese University of Hong Kong and University of Hong Kong to work together and deliver heath education sessions covering topics such as the preparation of oralrehydration solution, disaster preparedness kits, hand hygiene and information on flood preparedness. This evaluation trip marks the completion of the seventh studied site under the Ethnic Minority Health Project.